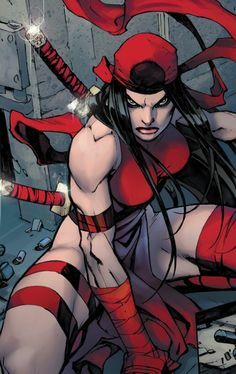 Is a famed Ninja of the Hand that faces off against Daredevil and Elektra. Feruze is a character in the Daredevil story known as Fall from Grace. In this story he battle Daredevil with the Hand searching for a special telepathic virus known as About Face. He follows the orders from Lord Daito. In doing so he faces off various heroes that includes Daredevil, Elektra, and Shang Chi. Feruze also appears in the Root of Evil Storyline. He is killed by Elektra but then resurrected by the Hand through the sword Sakki. He then joins the Hand in an assault on the Chaste where he is killed again. Utilisizes a specialized ball and chain weapon.